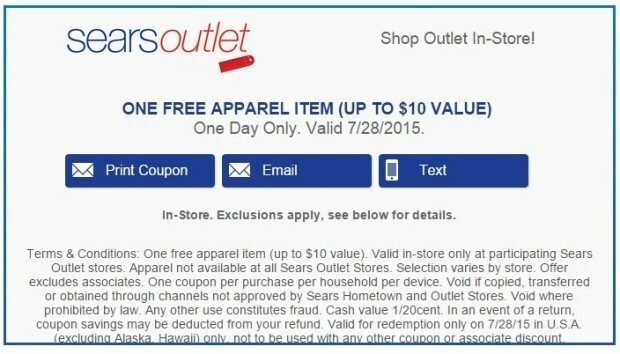 FREE Apparel Item At Sears Outlet! You are here: Home / Great Deals / FREE Apparel Item At Sears Outlet! FREE Apparel At Sears Outlet! You can get 1 FREE piece of Apparel at your local Sear Outlet Store! Just print the coupon and take it with you! Remember this offer is good TOMORROW ONLY 7/28/15!